Unlock the creative in you, hone artistic skills and handcraft something utterly unique and beautiful with Susie Ray Workshops on the stunning north Cornish coast near Porthcothan. In a warm and welcoming studio where natural light mingles with scents of the ocean you can learn how to transform beach combed finds into rustic works of art and stir talents that you never knew existed. From fish rubbing and seascape art, to craft workshops and painting tutorials, Susie Ray Workshops are inspired by Cornwall and thoughtfully curated to ignite passions and fuel accomplishment. Whether you’re delving into art for the first time or sharpening your skills, relax and have fun, this is your time to escape, create and evoke your style. 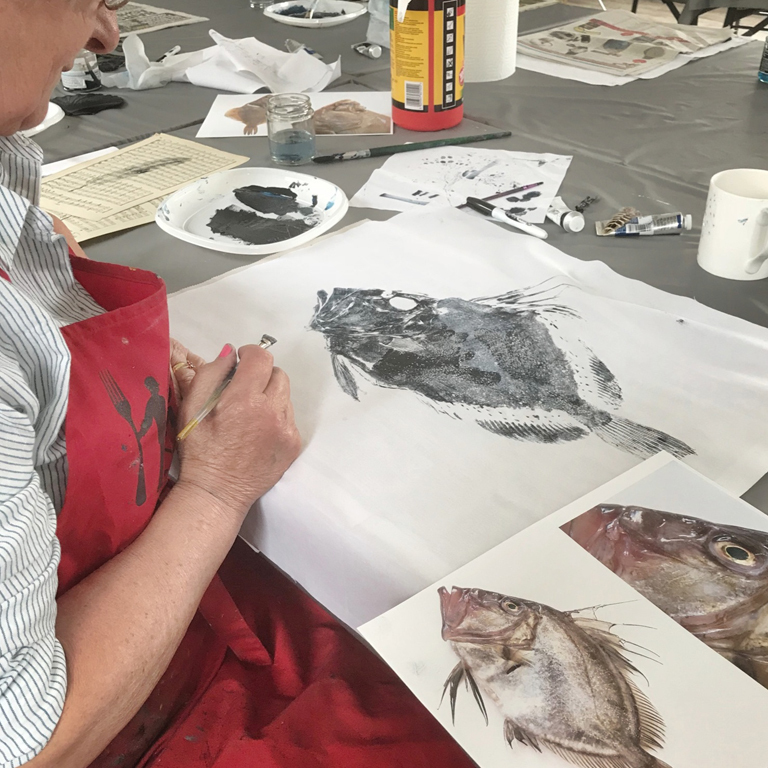 Inspired by the Japanese art form of Gyotaku, this highly unique and sought-after printmaking workshop is a contemporary take on an ancient tradition with a stunning Susie Ray twist. 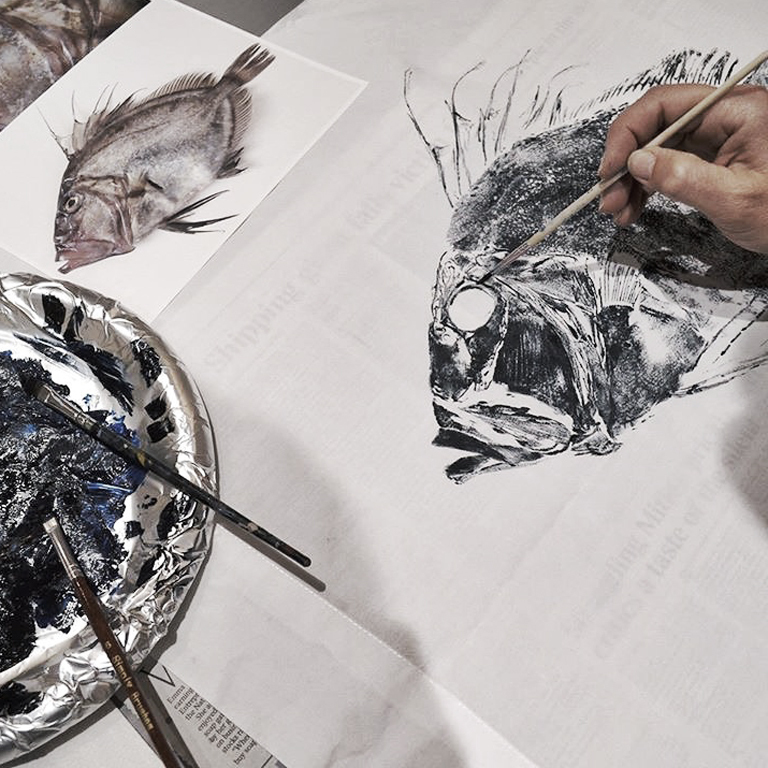 Capture the character and beauty of locally-caught Cornish fish and other coastal objects using just oil paint and cotton cloth. 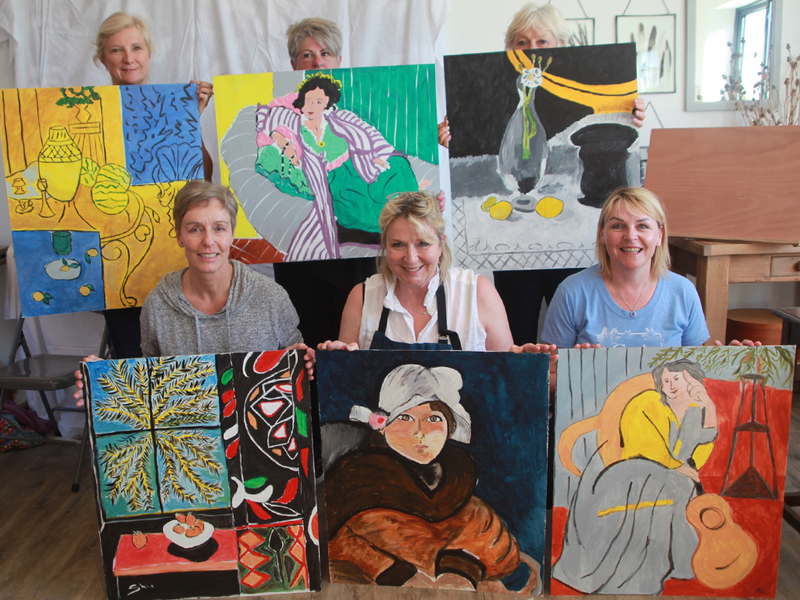 Develop your painting skills and have fun creating a piece of art that you’re proud of in a choice of painting workshops that can be adapted to suit your group. 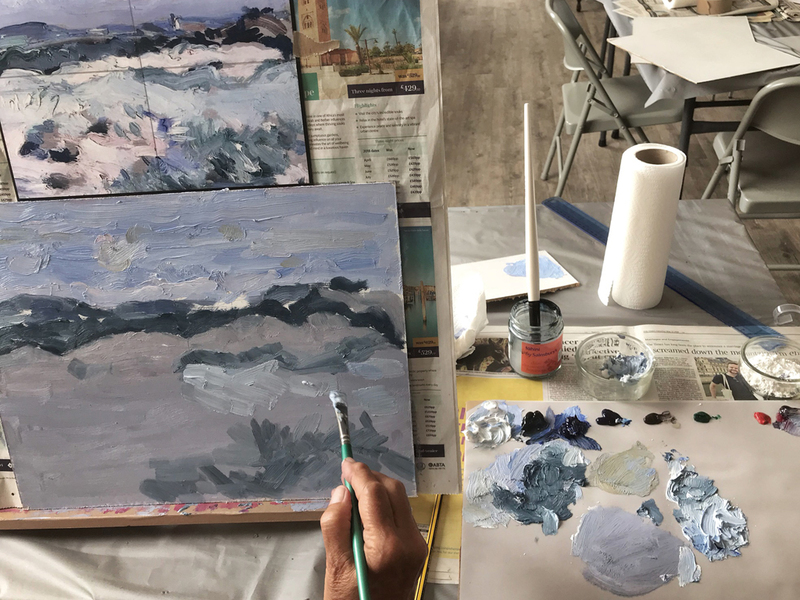 Draw inspiration from Cornwall’s incredible seascape artists, channel the colourful and slightly mad style of Matisse or learn the techniques of an impressionist painter. Learn how to turn foraged coastal finds into stunning pieces for the home. 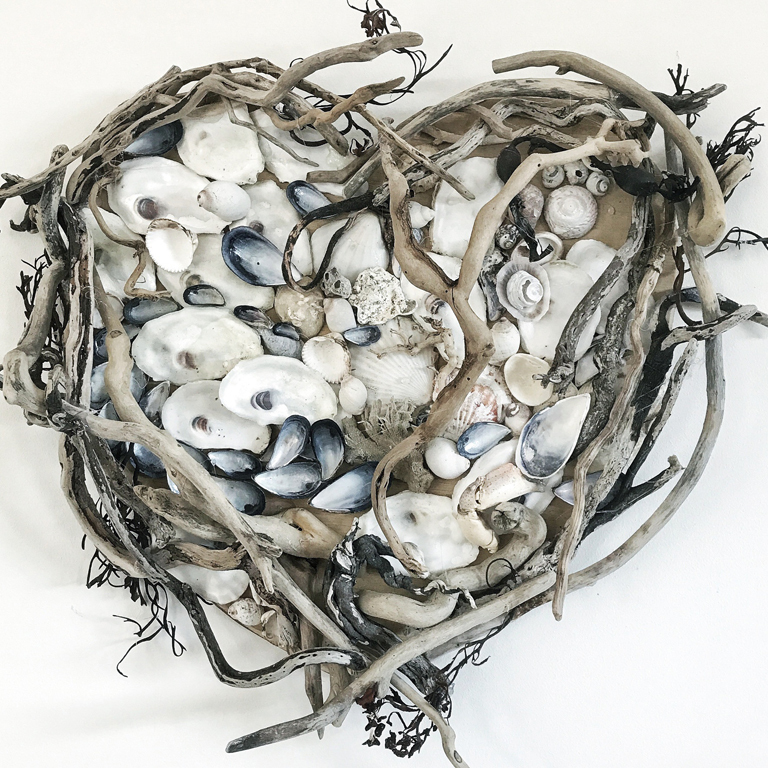 Craft a rustic heart using mussel shells or driftwood, make a stunning scallop shell wind chime, or create a memory board using a curated collection of treasures from the beach. You will complete the fun and interactive workshop with your rubbings ready to frame or hang as beautiful additions to your home. New for Spring 2019, Susie has tea towels, napkins and possibly cushions in stock and ready for printing if youwould like to create gifts or ready to use items for your home. She will be providing one tea towel free of charge, all other items at a small cost. Suitable for everyone, absolutely no experience needed. There’s no such thing as mistakes, no right or wrong and absolutely no regrets. Pencil marks, blurred colours, heavy brush strokes; it’s all part of the story. This workhop can also be created for a group of 6 -10 friends or collegues at a time to suit you. New for Spring 2019 - Susie has sourced bespoke frames ready for your paintings, so now you can go home with you painting ready to be hung! These frames are provided by Stable Art and cost £30. 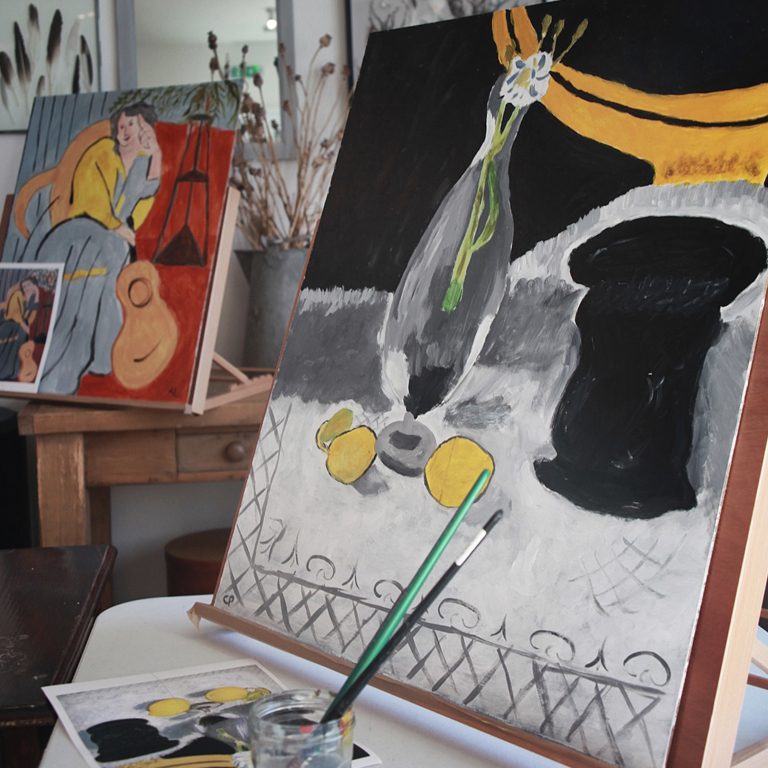 Let go and have some fun in this highly energising and liberating art workshop that channels the colourful and slightly mad style of Matisse. Perfect for absolute beginners and artists alike, discover freedom in glorious colour! 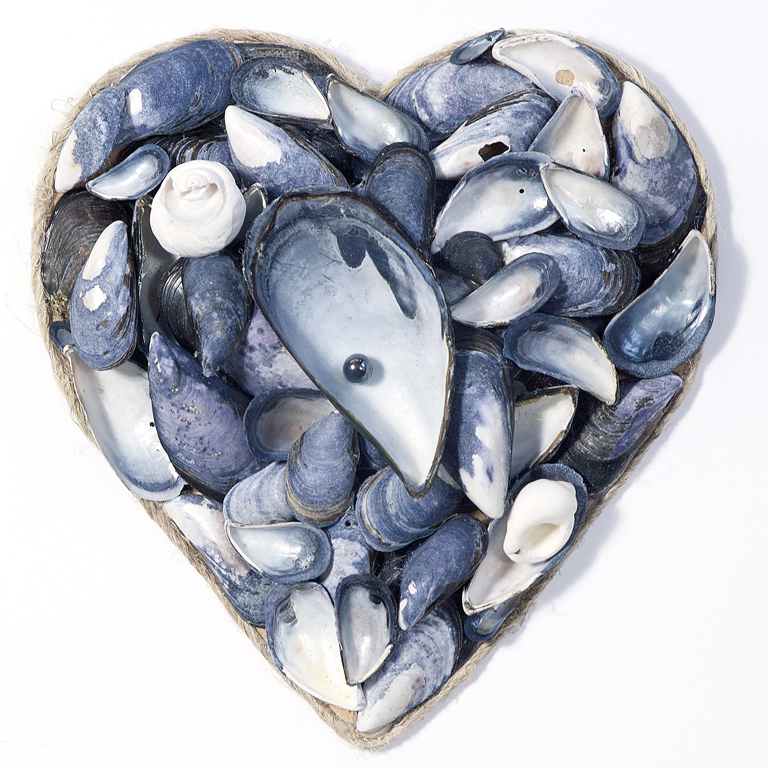 Create stunning works of art from stunning beach finds including shell hearts, wind chimes, memory pictures and more. An opportunity to enjoy a full fish rubbing course in the morning followed by a creative beach art class in the afternoon. 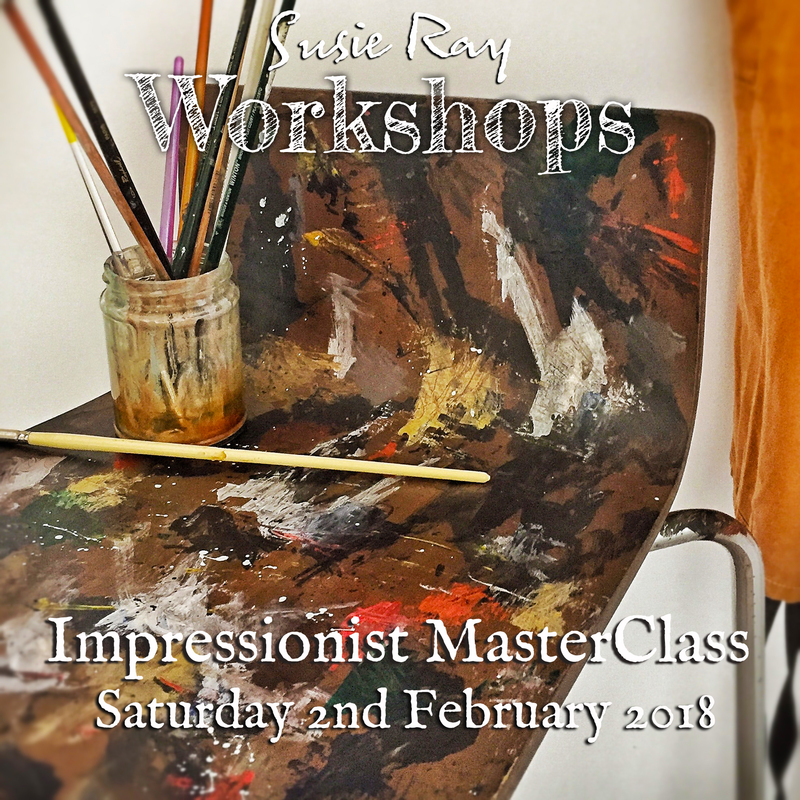 Suitable for all abilities this immersive course is superb way to indugle your creative side, learn new skills which can be transferred to home and produce an array of artwork to take home with you. 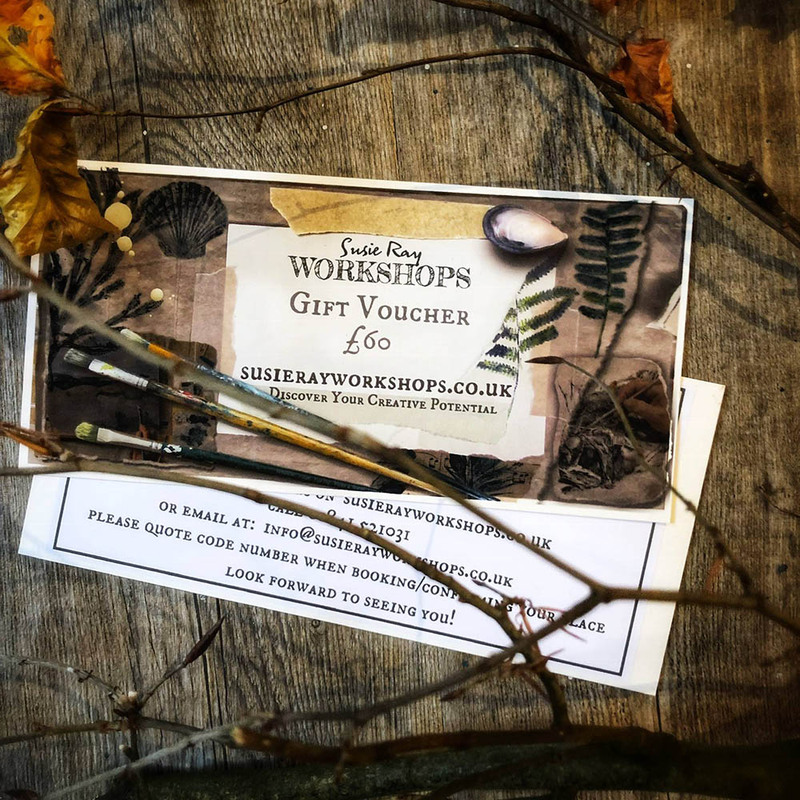 If you would like to give the gift of a painting course with Susie then just drop Susie a line and she will send you one of these wonderful vouchers, a perfect gift for your loved one! Spaces are limited so please get in touch to book your space. Our classes have caught the eye of national magazines and newpapers - see what they have to say about our exciting classes and unique stays! We have hand build two stunning cabins and furnished them from scratch to create unique, comfortable and inspirational places to relax and enjoy the calm of a creative Cornish retreat. Take me to the Cabins!